Ryanair, Spain’s No.1 airline, today (16 Nov) announced that it had filled 50 of the 250 positions in Travel Labs Spain, as it opened its new, state-of-the-art digital and IT innovation hub, based in Madrid city centre, where recruitment continues. 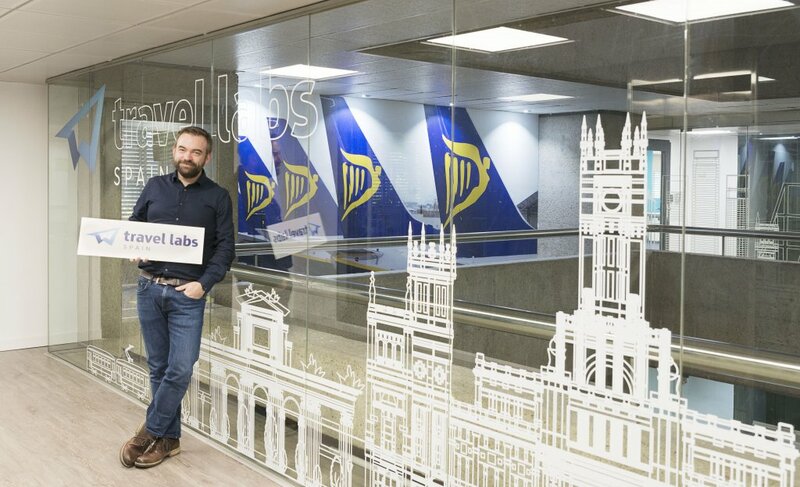 Travel Labs Spain is the airline’s third digital innovation hub following Dublin and Wroclaw (Poland), and these 50 positions have been filled across a range of roles in backend and frontend development, testing, data analysis, digital experience and social media. Recruitment is continuing for Frontend developers, C# Developers, Full Stack Developers, Data Engineers, QA Engineers and Insight Analysts. Labs has allowed Ryanair to roll out a number of digital initiatives under Year 4 of its “Always Getting Better” programme, including a personalised Ryanair.com website, a new Ryanair Rooms website, a dedicated Chinese Ryanair website, Ryanair Tickets for concerts and events, Apple Pay integration, long haul Air Europa flights on sale on Ryanair.com and a new partnership with the Erasmus Student Network. Travel Labs Madrid will hold a “Hackathon” on 20th and 21st January and will be inviting Madrid’s best talent to take part and build an app that solves real world corporate challenges. Further details of our “Hackathon” will be published on the Ryanair.com website. “As the largest airline in Spain, we are excited to open Travel Labs Spain in the heart of Madrid, where we have already recruited 50 of the best and brightest talent to join our online travel revolution. We will continue to grow Spanish employment by delivering a total of 250 new jobs and we look forward to building our team.